The role of the media in reporting road safety issues is well documented. The media has access to populations and can serve as an agent of awareness building and education – so educating the media on the impact of particular road behaviours is crucially important to ensure priority, and accurate, coverage of road safety messages. Through the GRSP managed Road Safety Grants Programme, funded by Bloomberg Philanthropies, media training was conducted during May with reporters and journalists from leading Cambodian media outlets focusing on the negative impacts of drinking and driving. 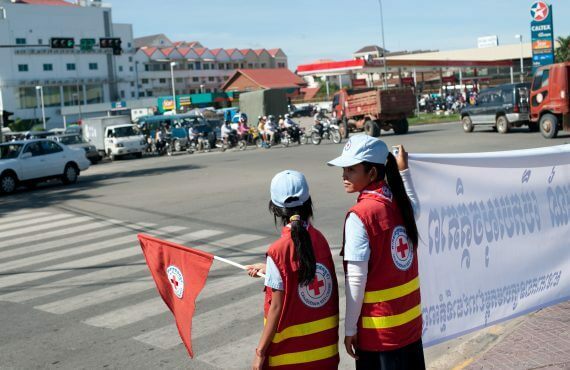 The training, organized by the grantee Cambodia Movement for Health (CMH), is one of many activities advocating for a ban on alcohol advertising in Cambodia. Speakers from CMH, GRSP, World Health Organization (WHO), Ministry of Health (MOH) and the People’s Centre for Development and Peace (PDP) delivered comprehensive training and practical advice on how to write more effective articles regarding the risks to self and community associated with alcohol and driving. Furthermore, the training served as a call to all representatives of the media to use their positions and voices to raise awareness, both within the community and with policy makers, of the dangers of drinking and driving. Further trainings and workshops will be conducted over the course of the year.